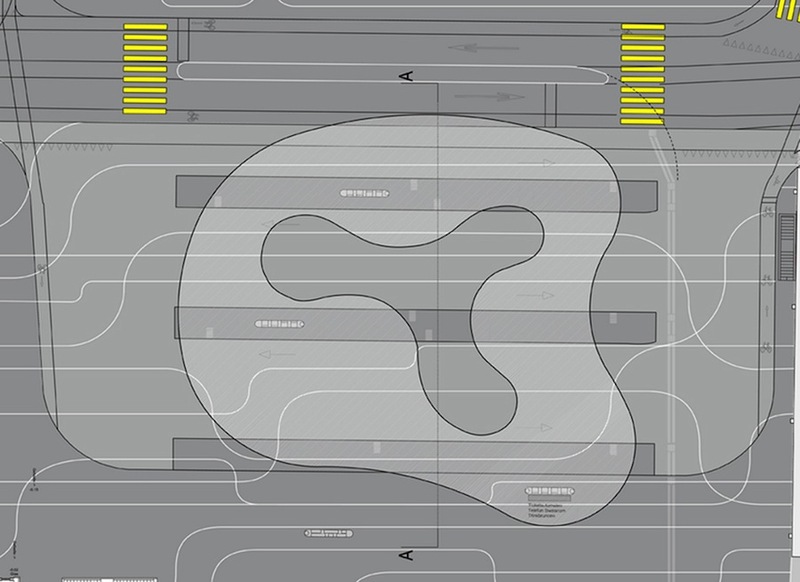 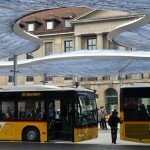 As of late bus stops are proving to be unexpectedly fertile grounds for architectural innovation. 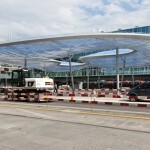 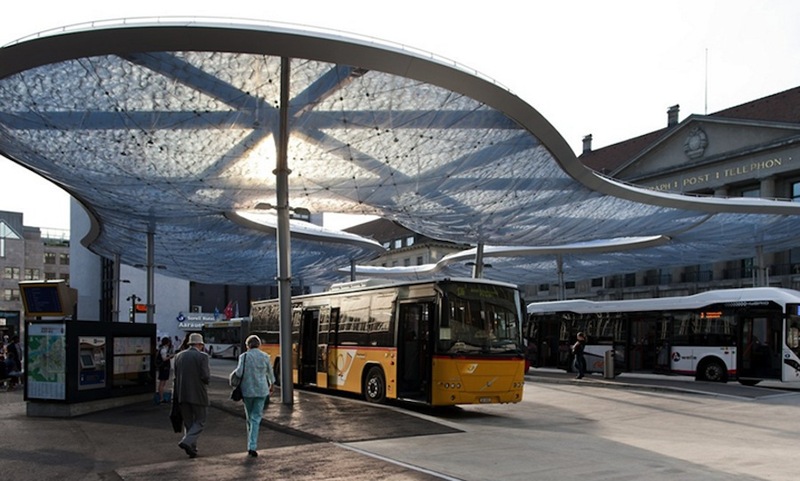 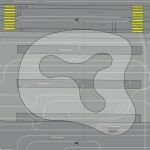 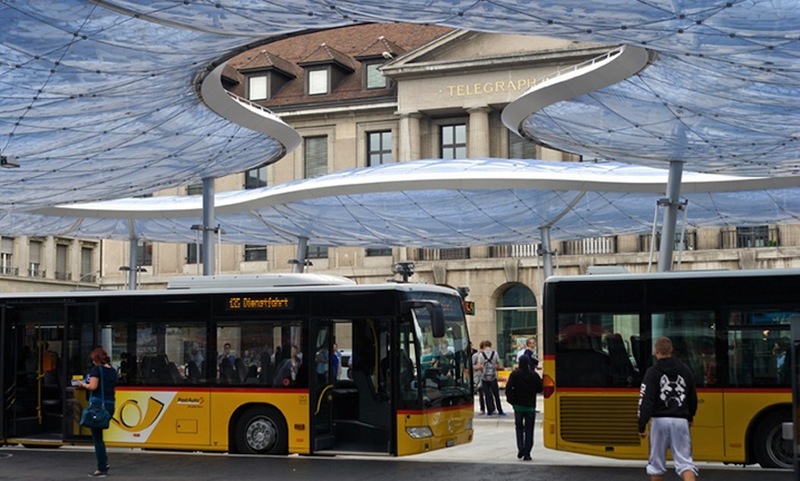 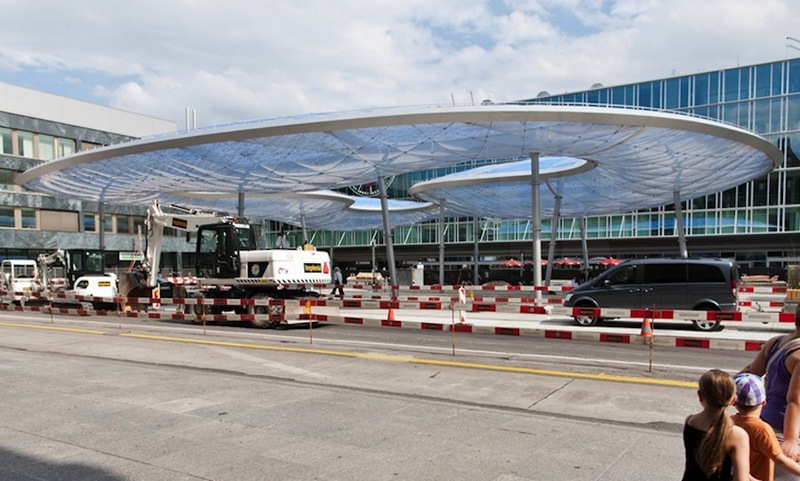 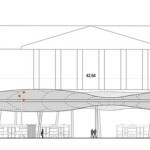 Swiss architects Vehovar & Jauslin are the latest to try their hand at the task in the form of a seemingly floating structure that provides shelter for a bus hub in Aarau, Switzerland. 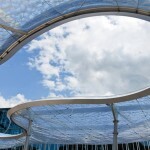 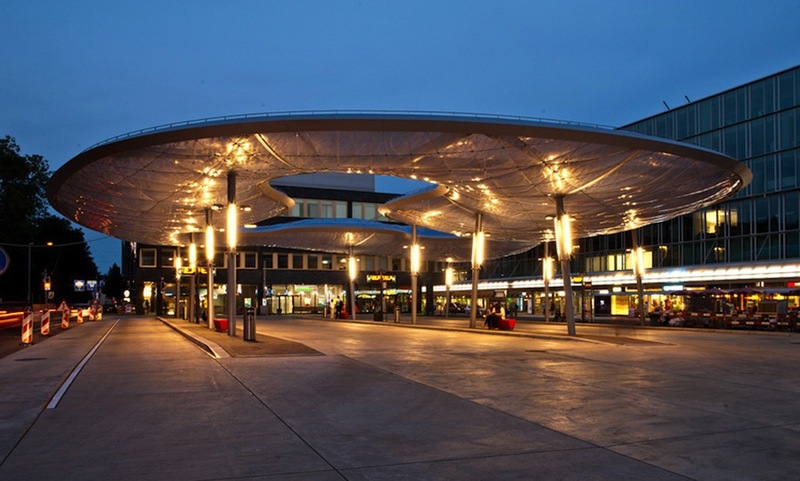 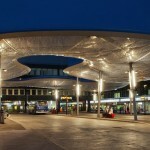 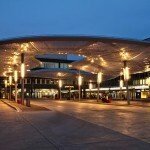 The canopy was realized with the help of engineering firm formTL who appear well-versed in undertakings of a similar ilk. 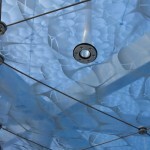 The covering’s cool tone derives from a blue-tinged upper membrane that filters through a clear underbelly. 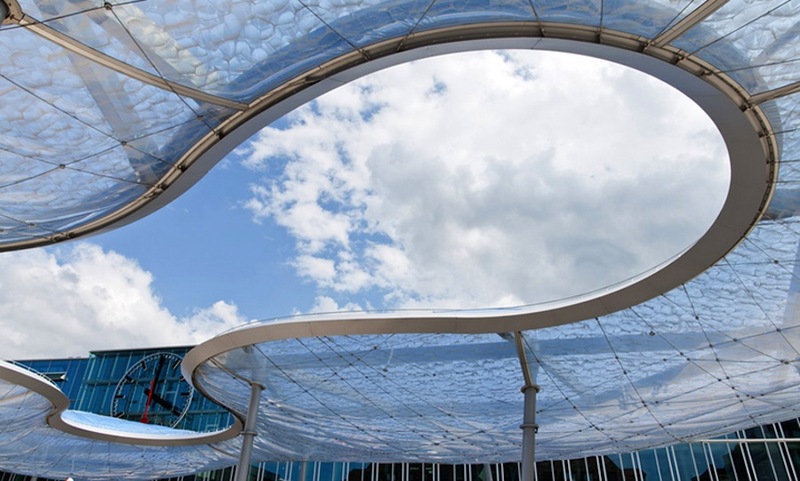 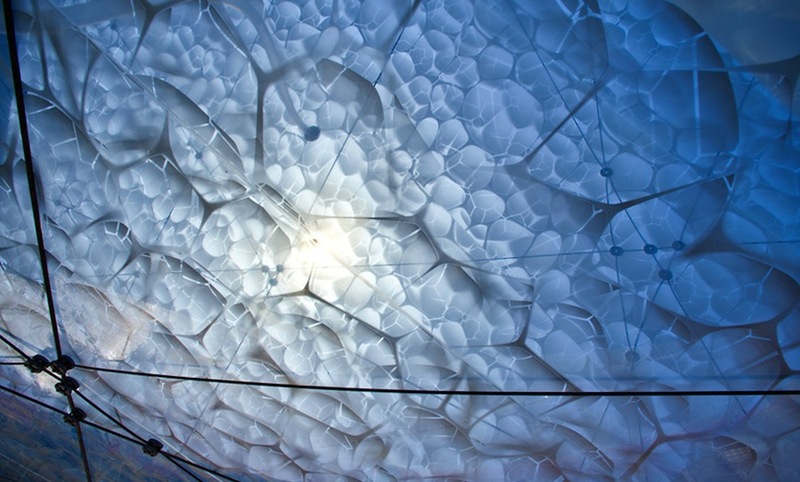 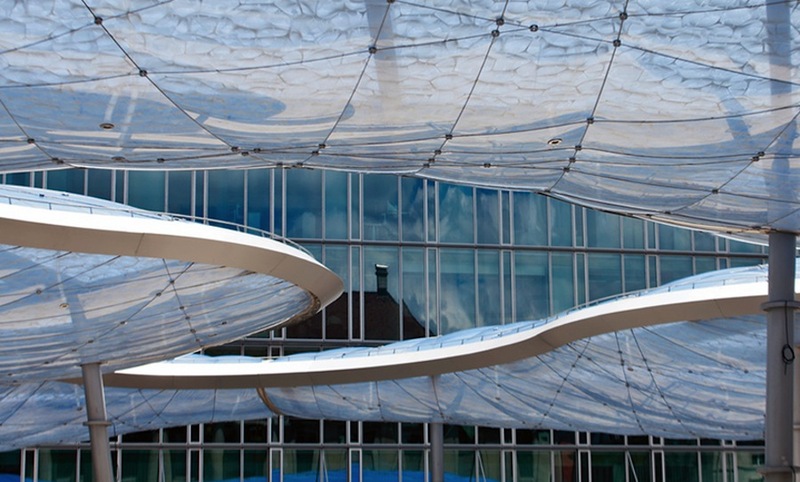 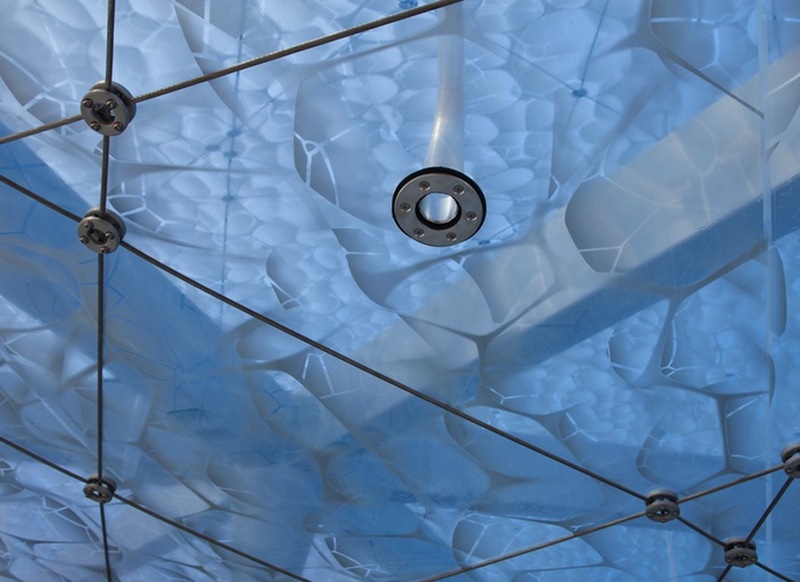 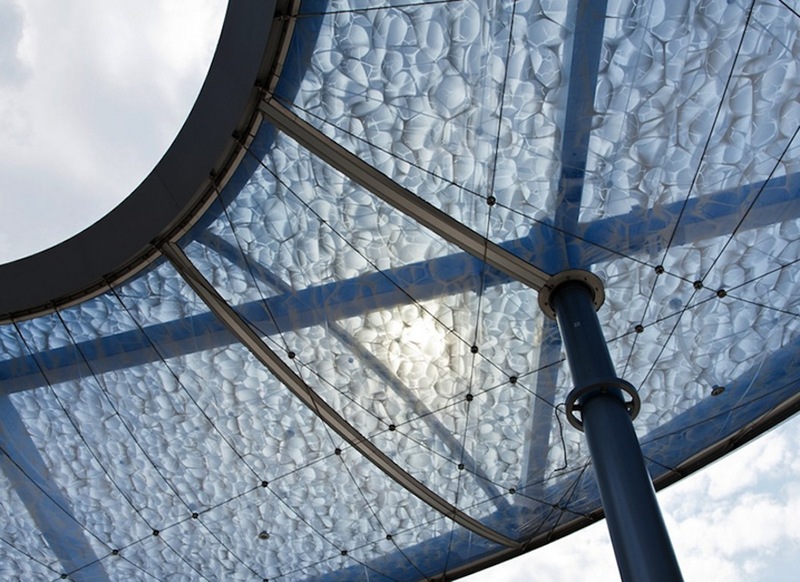 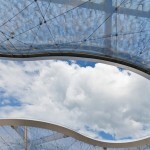 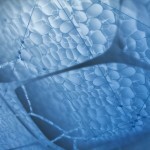 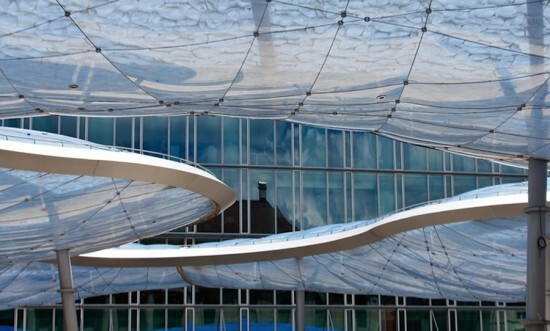 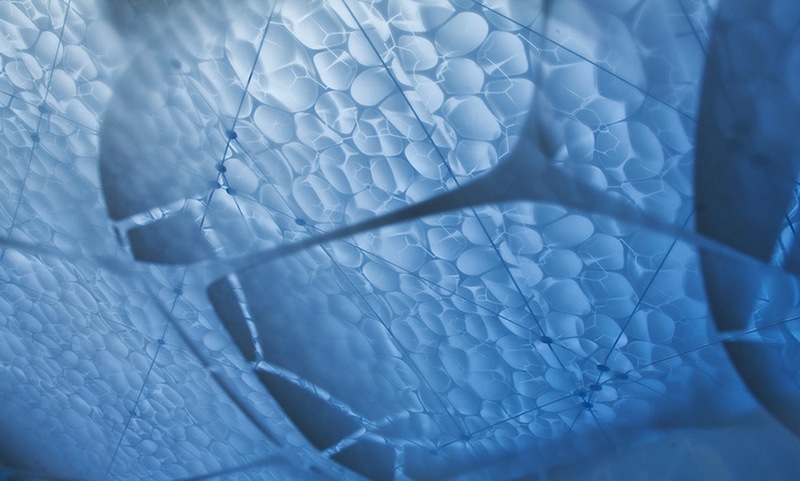 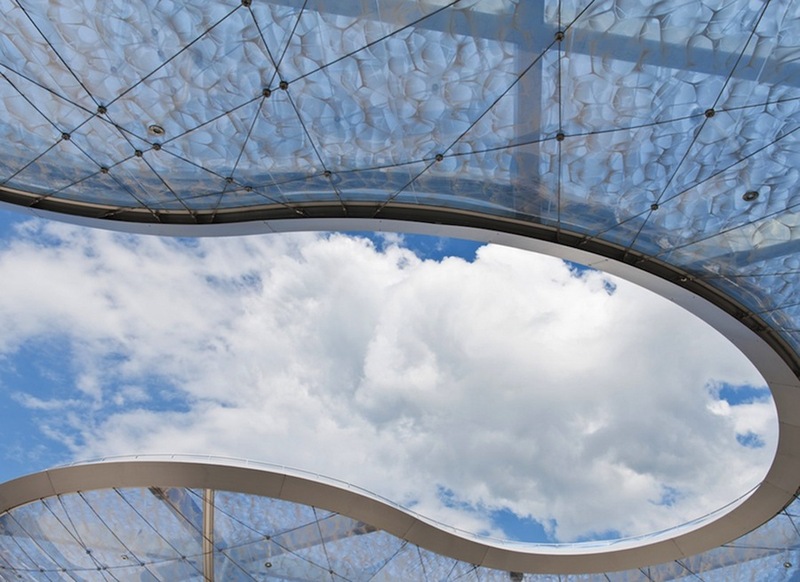 This ETFE-foil skin is printed with a bubble-pattern and filled with air to create a curved surface. 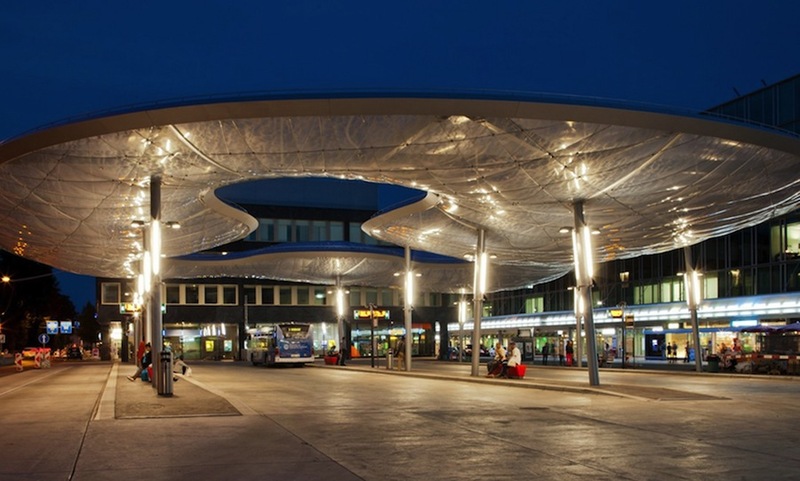 A steel ring hugs the canopy’s perimeter and helps to protect its fragile inflated contents. 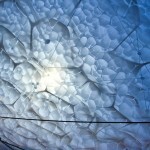 The entire amoeba-like form sits atop metallic columns that double as light sources once night falls. 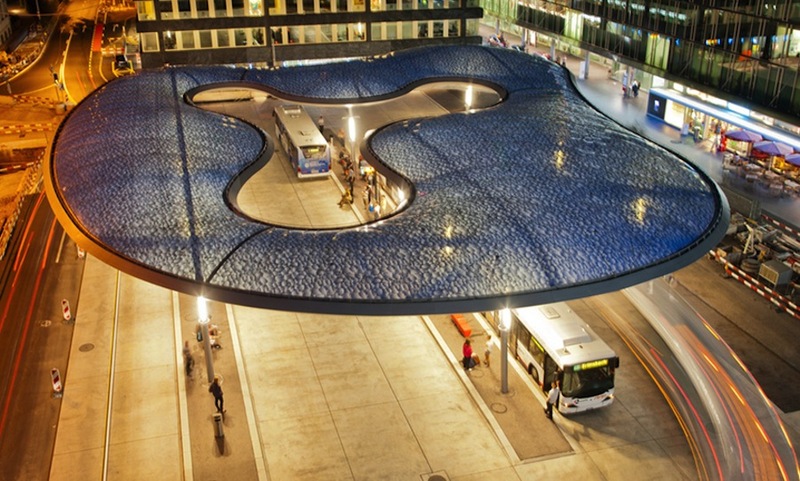 Sheltering a ground area of 10,764 square feet, the structure is pierced by a central three-pronged opening that welcomes natural light into the station. 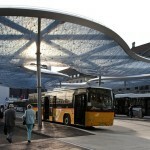 The project was first begun some nine years ago before its eventual completion late last year.